19 Chinese and Indonesian crew members were rescued today [June 21] after their boat caught fire some 900 miles southeast of Bermuda, the Bermuda Maritime Operations Centre said. 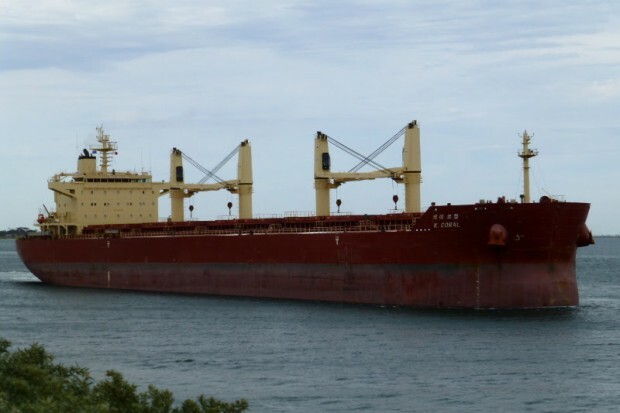 The Duty Officer said, “At 1:19 local time this morning, Tuesday 21st June, 2016, the Bermuda Maritime Operations Centre was contacted by the Panamanian registered merchant vessel ‘K Coral’ in position 900 nm southeast of Bermuda. “The Chief Officer on-board reported seeing a cloud of smoke in area and a short while later located the fishing vessel ‘Pioneer’ on fire, with all crewmembers having entered the water. “All 19 persons [Chinese & Indonesian Nationals] had abandoned the vessel with recovery efforts now underway by M/V K Coral. “U.S. Coast Guard [RCC Norfolk] and AMVER vessels in area were contacted as 17 of the 19 survivors were quickly recovered, two of whom had suffered from second degree burns, while another crewmember was recovered a short while later. “After nearly 6 hours on scene and continued searching by ‘K Coral’, assisted by ‘M/V Cherry Point’, the final crew member was recovered from the water. “All survivors are reported to be in a stable condition, as ‘M/V K Coral’ proceeds under full speed to Norfolk, Virginia, U.S.A. This and increased maritime tourism are good enough reason coast guard might consider some sort of presence here. Would it be incorrect to consider this an option?